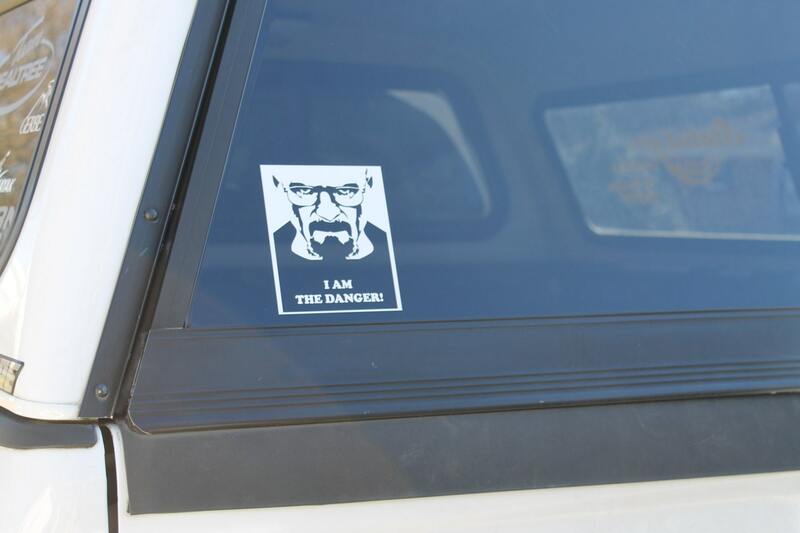 Decal I Am The Danger! Popular television drama and one of the best characters ever! Lets cook! 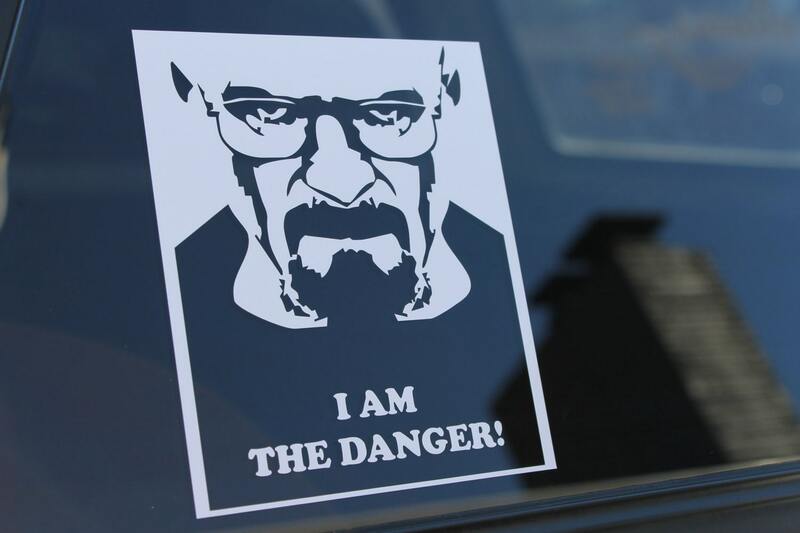 Decal "I Am The Danger!" Popular television drama and one of the best characters ever! Lets cook! 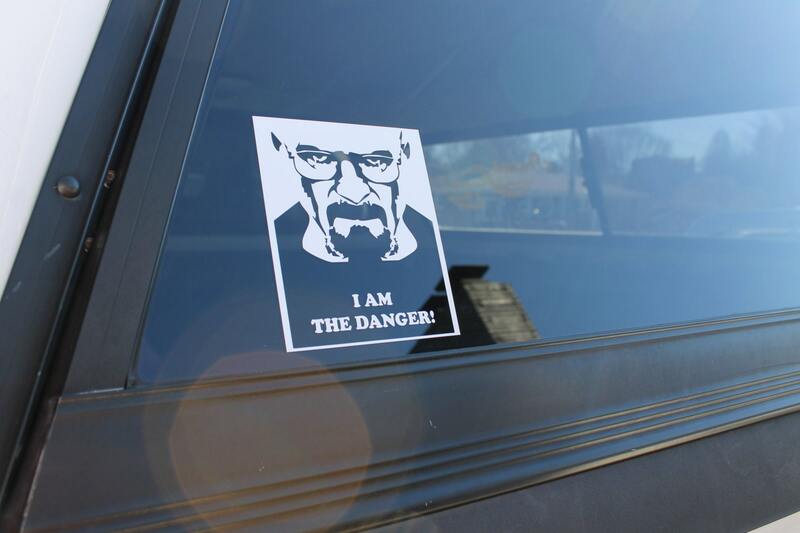 Long-lasting outdoor vinyl decal. Easy to apply and weather resistant. White vinyl, will stick to any clean, smooth surface. Looks best on tinted windows or dark surface.